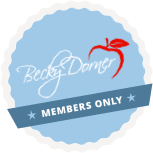 Today's Dietitian - Becky Dorner & Associates, Inc. The Today’s Dietitian CE Learning Library offers CDR-Accredited continuing education courses for RDNs. Today’s Dietitian’s robust library of self-study courses and webinars examines a wide range of timely and unique topics, which are developed by some of the foremost names in the field of nutrition and dietetics. Known for being highly practical, Today’s Dietitian’s continuing education courses provide relevant information that RDNs can immediately incorporate into practice. Enter here to access the Today’s Dietitian CE Learning Library website, where you can explore all Today’s Dietitian’s continuing education offerings. Use the code BDAFRIEND on your online orders and receive 10% off* your order of all one and two credit courses and webinars automatically. *This offer cannot be used in conjunction with any other coupon.